cleansing of the Sanctuary two views-Crosier-U Smith-did they affect views of 1888 - justification / sanctification / 3 Angels Messages / RBF - over view and application of Salvation - 1 Corinthians 6:11- if they did affect the view - how did they affect those views ? What is the foundation of our views of the Heavenly Sanctuary - Christ's work of calling - preserving the called as yet not justified / sanctified, justifying sanctifying the called, initially entering them into His Book of Life and initially making them part of Himself - all those who respond surrender obtain engraft - Biblically fear God and glorify God and worship God in spirit and in truth - preparatory to review during probation - retaining them in the Book of Life - blotting out their sins, sealing them as God's adopted fully restored sanctified children who are part of Himself - the wise virgins & all who have been lead by the Spirit of God. Scripture & SOP have built the accurate Views. All persons secure in those accurate views have stayed solid on the Sanctuary & SOP, even though they always learned more as time progressed, everyone getting shaky in those views - first had difficulty with SOP and also soon after - difficulty with the Sanctuary. I will be looking for more data on the Crosier view = continual mediation of Christ. February 7, 1846. predates U. Smith's views - this is termed "the earlier view". Do these opposing views change a person's views of the 1888 messages, and their relationship to them ? The 1888 messages are salvation issues - are the Crosier / Smith views salvation issues ? Crosier (Crozier), Owen Russell Loomis (1820-1912). Millerite preacher and early teacher of the sanctuary doctrine. Crosier was trained as a Wesleyan minister, and joined the Millerite movement a year before the disappointment. After Hiram Edson saw the explanation to Christ's failure to return to earth on October 22, 1844, he, Crosier, and Franklin B. Hahn studied the subject of the sanctuary at length, publishing their views in the Day-Dawn in March 1845. Crosier's later and more complete coverage of the two-phase atonement came in "The Law of Moses" published February 7, 1846 in the Day-Star Extra. This study helped Joseph Bates, James White, and Ellen G. Harmon (as well as others) to begin to grasp Christ's ministry in the two apartments of the heavenly sanctuary. An understanding of these phases of Christ's work provided the foundation of the doctrine of the sanctuary that continued to develop among the Sabbath-keeping Adventists. Ellen White explicitly endorsed Crosier article in 1847 based on a vision the year it was published. 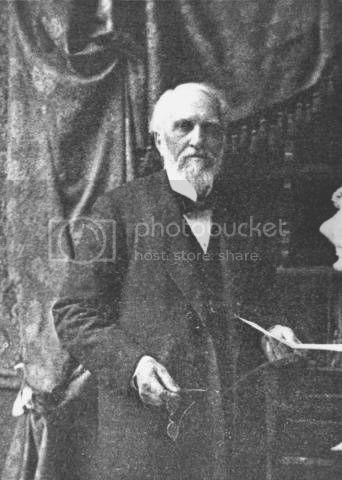 Crosier in turn accepted the Sabbath from Joseph Bates that same year, but by 1847 joined Joseph Marsh, and ended up opposing both the seventh-day Sabbath and the sanctuary teachings, endorsing instead the "Age-to-Come" theory. He changed his name to Crozier, and in 1854 began working for the Advent Christian Church as an evangelist in Michigan, where he died years later in 1912. Owen Crosier Millerite preacher and editor, of Canandaigua, New York, first writer on what was to become the Seventh-day Adventist sanctuary doctrine. He was baptized in autumn 1843 by E. R. Pinney. As a young itinerant preacher he was associated with Hiram Edson and F. B. Hahn, and in March 1845 collaborated with Hahn in publishing, at Canandaigua, the Day-Dawn, a small Millerite paper. According to J. N. Loughborough, he was with Edson in the cornfield at Port Gibson on the morning after the sad vigil of Oct. 22, 1844. In any case, he accepted Edson’s explanation of the Millerite disappointment, joined with Edson and Hahn in intensive Bible study in the winter of 1844–1845, and wrote out their joint findings on the subject of the sanctuary and its cleansing.